An exhibition in cooperation with Georg Kolbe Museum, Berlin. Haus am Waldsee and Georg Kolbe Museum have prepared an exhibition in two parts. It will be on view from May to September 2019 in both of the former residential buildings and gardens. Lynn Chadwick – Beasts of the Times will reintroduce the British sculptor Lynn Chadwick (1914 – 2003) as one of the leading artists of the post-war period by way of a retrospective and in a charged relationship with two German positions in sculpture. This first museum exhibition of Chadwick in Germany gathers around sixty sculptures, a range of drawings and graphic works as well as an extensive amount of archive materials. 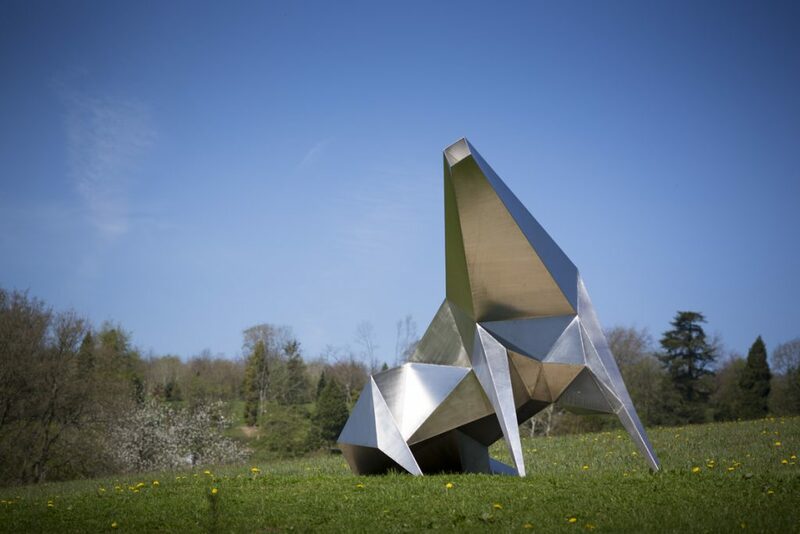 Georg Kolbe Museum presents the œuvre of Lynn Chadwick, which has won numerous awards since the 1950, in a broad, chronological spectrum with thematic focuses. In relation to this, Haus am Waldsee traces a motif-oriented arc offering works by Hans Uhlmann (1900 – 1975) and Katja Strunz (*1970) as interlocutors in a dialogue with the British sculptor. While the show at Georg Kolbe Museum is an in-depth retrospective, the counterpart at Haus am Waldsee addresses the aspect of folding and fragmentation that defines Chadwick’s work from a present-day perspective. The accompanying catalogue presents the first extensive publication on the complete oeuvre of Lynn Chadwick in the German-speaking area.